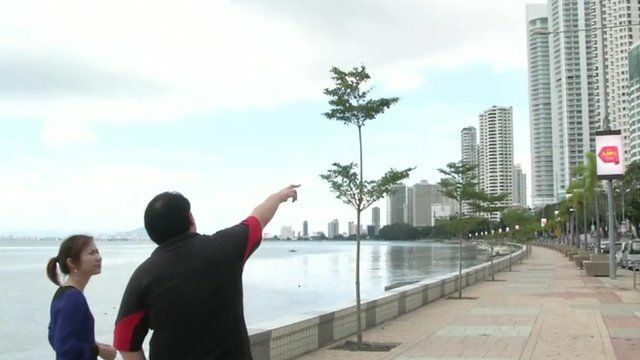 Malaysia's retirement saving crisis Jump to media player The BBC's Jennifer Pak speaks to one Malaysian family about why it is so hard to save. The socialite feeding Malaysia's poor Jump to media player Ruby Khong describes her transition from socialite to full-time volunteer, running Malaysia's biggest soup kitchen. Restaurant helps ex-convicts back to work Jump to media player A former convict turned entrepreneur is looking to give other ex-offenders in Singapore a new lease on life through his restaurant chain Eighteen Chefs. Taiwan's unusual philanthropist Jump to media player A humble Taiwanese vegetable seller shows you do not have to be rich to donate money and make a difference. Tycoon sings We are the World to reporter Jump to media player Chinese billionaire Chen Guangbiao may be the country's most generous yet controversial philanthropist, as John Sudworth reports. Singapore's philanthropic dynasty Jump to media player How the Tan family runs a charitable foundation out of its 1930s Singapore mansion, while Singapore struggles to think charitably. Turning trash into cash in India Jump to media player A charity in Delhi runs a programme for visually challenged people - they collect flowers from outside temples, which are turned into paint and then sold for a profit. Malaysia's central bank is concerned that people are not saving enough for retirement. It says almost seven of out of ten Malaysians who pay into a mandatory national pension scheme have less than $15,000 (£9,600) in savings. That is only enough to last a few years of retirement. The BBC's Jennifer Pak spoke to one family about why it is so hard to save.